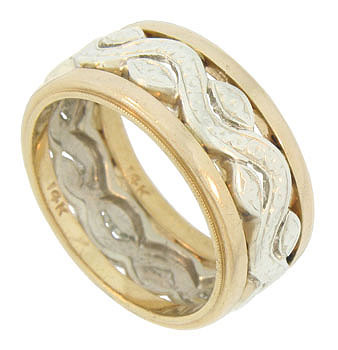 This captivating 14K bi-color vintage wedding band features a central ribbon of white gold. The curling vine of white gold is pressed with marquis shaped leaves and framed in bands of yellow gold edged in delicate milgrain. 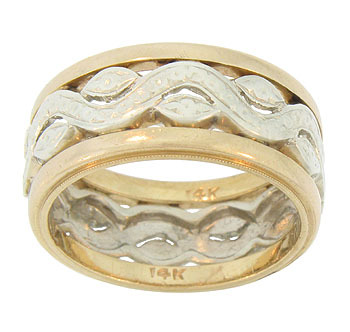 The Retro Modern wedding ring measures 8.82 mm in width. Circa: 1930. Size 7. We cannot re-size.